Sequence of characters, denoting the date and/or time for every folder and file on a operating system (Windows, Mac, Linux and other)! ▼ ... easy access to correct or manipulate any of the timestamps for any file and folder on any Windows system. ► .... 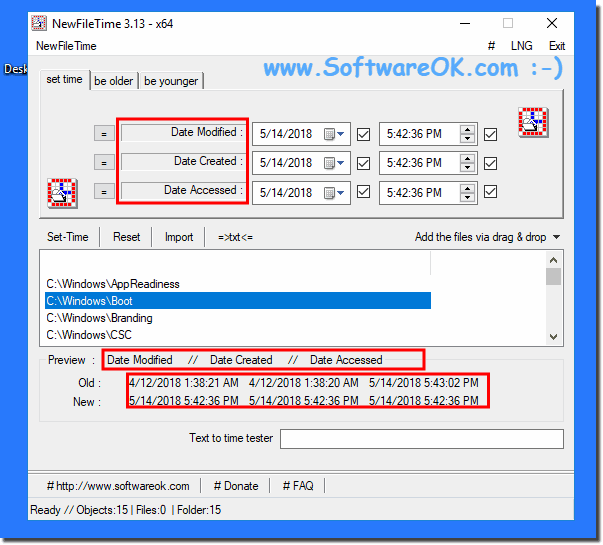 Date / time change command prompt, with examples, how to? (Image-1) Timestamps Date modified, accessed, created on Windows! ►►►► ... New File Time for Windows! Is Timestamp a Sequence of characters? YES! Timestamp denoting the date and time ? YES!